When you want as much fun as possible in a bounce house then you want our beautiful Wacky Combo. 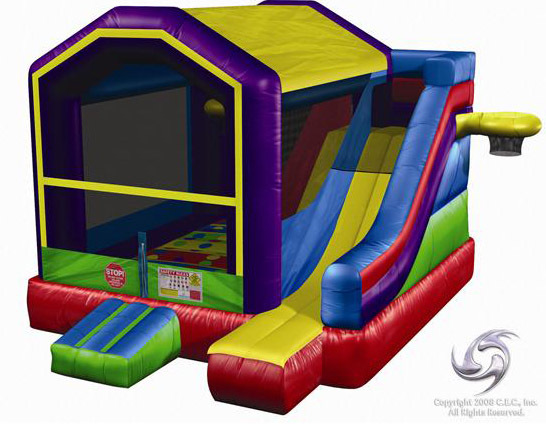 This inflatable includes a huge bouncing area, a crawl-through, a climbing obstacle, exterior slide, interior and exterior basketball hoops, balls, plus a twister game mat sewn onto the bouncing surface! Manufactured with child-proof finger-safe netting. Copyright Bounce About Indy 2008 - 2013. All Rights Reserved.